The Amalgamated Trade Union of Swaziland (ATUSWA) is dismayed by the TexRay group of companies’continuous disregard of the basic human right on Freedom of Association and the right to Collective Bargaining. TexRay has instead of recognizing our organization which has managed to organize more than 80% of its entire workforce, spread over 4 companies being Union Industrial Washing, Kasumi Apparels, TQM Textiles and Katat has decided to form a sham union with the sole intention of violating workers’ rights unabated. 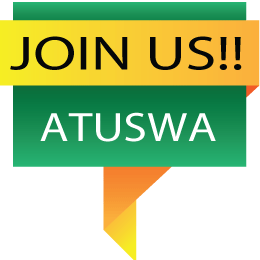 The Swaziland Textiles, Manufacturing & Allied Workers Union (STMAWU), a management led “workers union” has been calling our members to meetings which are held within TexRay premises and offices with the intention to disunite the workers who are standing with ATUSWA despite all the challenges facing the union. Senior management of the TexRay group of companies called worker leaders to a meeting where the plan to disorganize workers from ATUSWA was outlined. It has been reported that TexRay is offering an incentive of E20 to any worker that is joining theemployer formed, lead and unregistered STMAWU. Workers are coerced to join the sham union as quickly as possible so that recognition would be granted by Texray to STMAWU before the CMAC delayed recognition processes for ATUSWA is finalized. In its desperate efforts to paint our credible and worker loved organization (ATUSWA) Texray decided to make astounding allegations towards our union. The senior management of Texray informed some of our members that they should leave our organization because it is problematic. Management went on to say that despite that buyers (Textile buyers) wanted to source garments from companies that recognizes unions but the buyers do not want that recognized union to be ATUSWA. We call upon all credible and human rights respecting buyers to distance themselves from the allegations made by TexRay that they are opposed to ATUSWA. If buyers continue to source garments from the TexRay group of companies without ensuring that the right to Freedom of Association and Collective Bargaining is respected, they would be collaborating with TexRay in ensuring that our rights as workers are undermined. We further call on the Swaziland Investment Promotion Authority (SIPA) and Government (Department of Labour) to continuously engage employers on the importance of respecting workers’ rights in order for Swaziland to remain an investment friendly environment. TexRay should not be allowed to take our country back to the past that we wish to escape.